Rosslyn is known for creative holiday decorations. 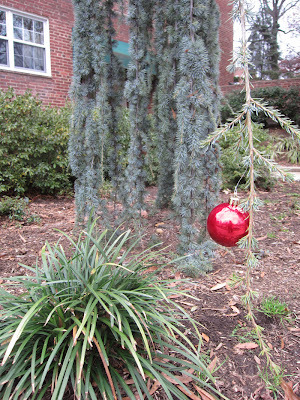 This year, a beautiful red ball decorates a weeping blue tree. Residents seem to remember seeing this ball in previous years, but there's no record of it in the local newspaper of record.